While working for Ace Creative, I had a large part in the creation of this invitation suite for the Brookline Community Mental Health Center. 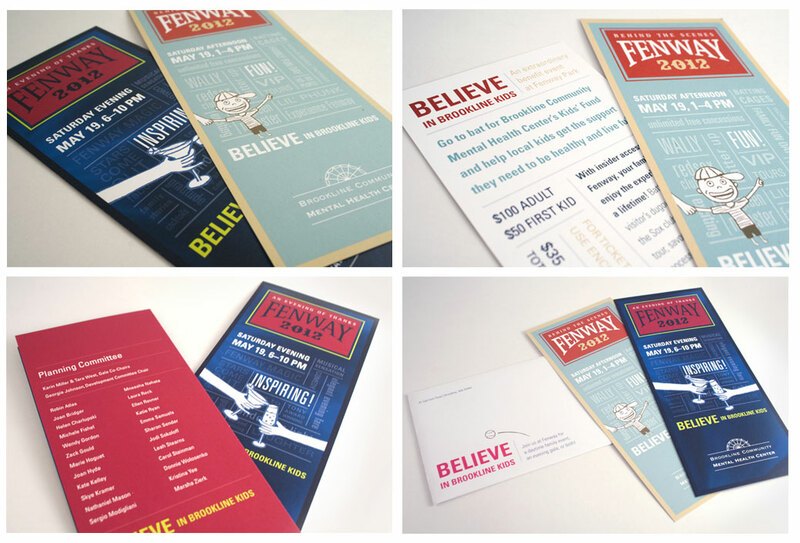 This suite was for a day-night “double header” of fundraising activities at Fenway Park. Coming up with the idea of the invites resembling game tickets in shape and format, I also created the hand drawings of the boy and the toast displayed on the front of the day and evening invites. I choose the color palette and worked on the modular word graphics. I also worked directly with the printer and client to choose paper stock and was present on a press check for color accuracy.